Motley Crue have teased fans with studio pictures appearing to confirm they are working on new music. 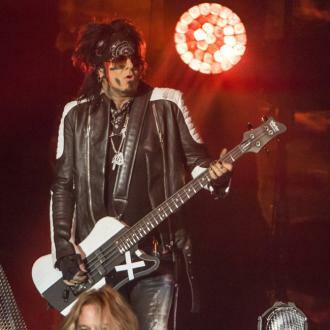 Motley Crue have confirmed they are working on new music. 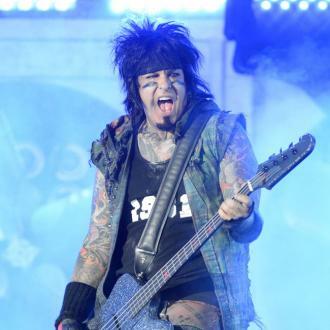 The heavy metal band's bassist Nikki Sixx and drummer Tommy Lee reunited in the studio on Tuesday (28.08.18) with 'Dr. Feel Good' producer Bob Rock. The images were also shared on the band's official Facebook page, and singer Vince Neil and guitarist Mick Mars were noticably absent. It's not known whether the new material is for the band's forthcoming Netflix biopic 'The Dirt' or a new record. The film features an all-star cast including Douglas Booth (Nikki), Machine Gun Kelly (Tommy), Iwan Rheon (Mick), Daniel Webber (Vince), and the latest additon is Tony Cavalero as Ozzy Osbourne. The movie is being helmed by 'Jackass' director Jeff Tremaine, and is based on the band's 2001 memoir 'The Dirt: Confessions of the World's Most Notorious Rock Band'. Last year, Motley - who retired from touring in 2015 after their 'The End Tour' - released a special edition of their biggest hit, 'Girls, Girls, Girls, and hinted that more ''surprises'' are on the way. The band's 1987 studio album turned 30 in May, 2017, and the rockers took to Facebook to celebrate the milestone. The 'Home Sweet Home' hitmakers urged fans to sign up to their mailing list for more information. Sharing the music video for 'Girls, Girls, Girls' on the social media site, they wrote: ''HAPPY BIRTHDAY!!! GIRLS, GIRLS, GIRLS turns 30 today and we'll be celebrating all year long! Sign up at motley.com now and get notified first about all the surprises coming up this year and how you can celebrate with us. The Crue are still regarded one of the most outrageous rock bands of all time. Drummer Tommy previously admitted the mid-1980s, when the record was released, was a ''bad'' time for the 'All Bad Things Must End' hitmakers because they were all ''not waking up'', ''overdosing'' and ''like a bomb ready to go off''. He said he is amazed the band - who performed their last show as a part of 'The Final Tour' at the Staples Center in Los Angeles on December 31, 2015 - are living to tell the tale and survived, because he was sure ''someone was going to die''.